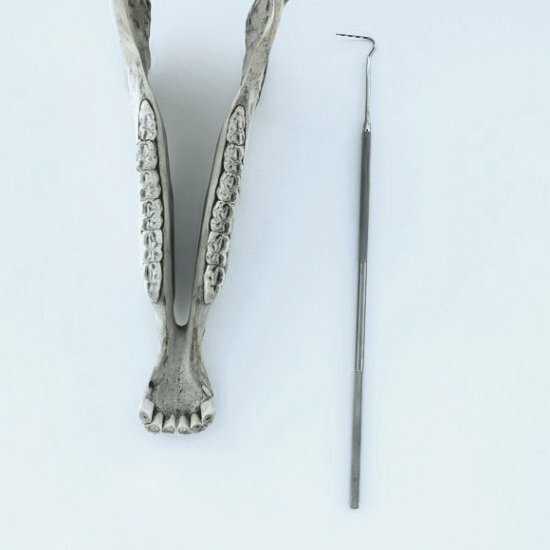 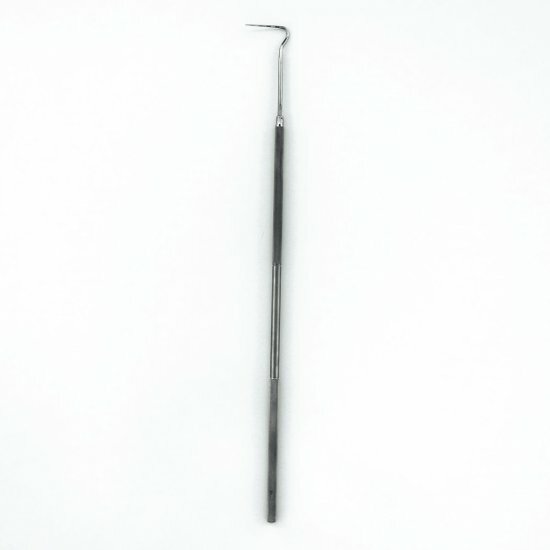 18 inch (45mm) handle with 1.5 inch (3.8mm) high hook style end, stainless steel dental probe with marker increments every 5mm to assist in measuring the depth of periodontal pockets. 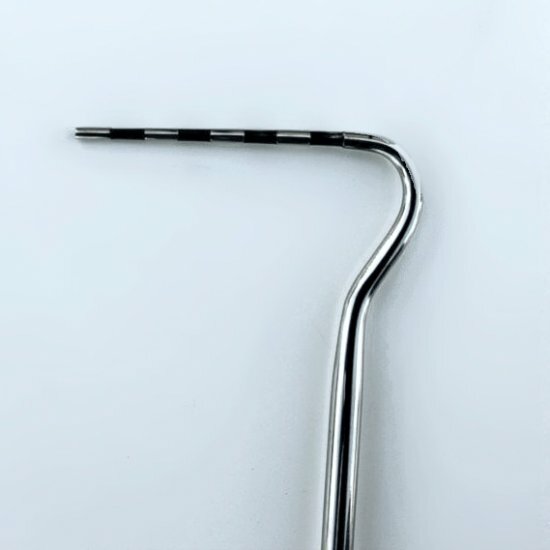 Knurled handle for better gripping. 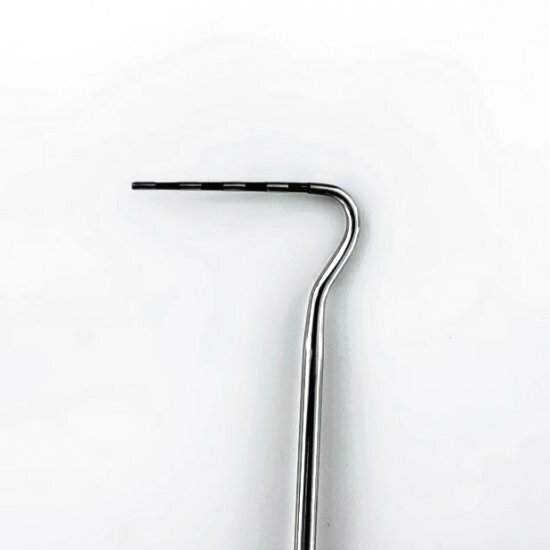 The hook design assists in the placement of the probe into pockets in the caudal part of the mouth.